Lucifer just aired its winter finale this week, but when will it return? Season two of the FOX TV series is set to return in May. Based on the DC Comics character, the drama follows Lucifer Morningstar (Tom Ellis) as he leaves his throne in Hell to live in Los Angeles. The cast also includes Lauren German, D.B. Woodside, Tricia Helfer, Rachael Harris, Lesley-Ann Brandt, Kevin Alejandro, Aimee Garcia, and Scarlett Estevez. So far, season two of Lucifer is not performing all that well in the ratings. Thirteen episodes in, the series holds an average rating of 1.10 in the 18-49 demo and only 3.825 million viewers. That’s far lower than season one, which averaged a 1.47 rating in the 18-49 demo and a total of 4.56 million viewers. 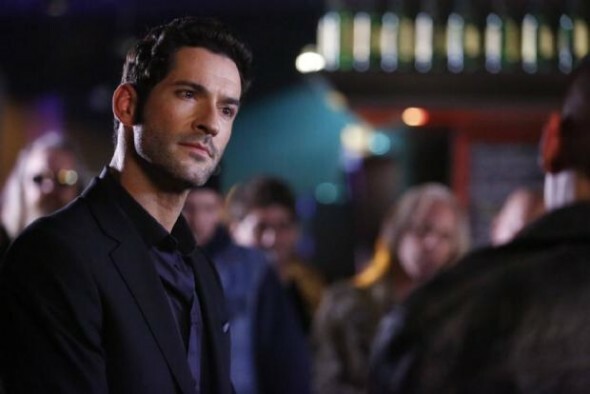 FOX has not yet announced whether or not Lucifer will be renewed for a third season. Season two of the show returns on May 1st. What do you think? Do you watch Lucifer? Do you think FOX should renew it for a third season? I hope you bring Lucifer back. It is one of a kind with a little bit of everything from comedy to suspense with a dangle & tangle of significant others! What fun to watch! I can’t believe they took the show off I always looked forward to watching it. All the characters were great. PLEASE BRING IT BACK. Keep Lucifer on please. I love this show especially with Tom Welling in it. Please renew it to season 4. I am a big fan of Lucifer series and have not skipped a single episode. I hope the season 4 will be much darker. Hell yes renew it, it is witty, and different from all the other monotonous shows,definitely my favorite. Its my favorite guilty pleasure. PLEASE don’t cancel this show.